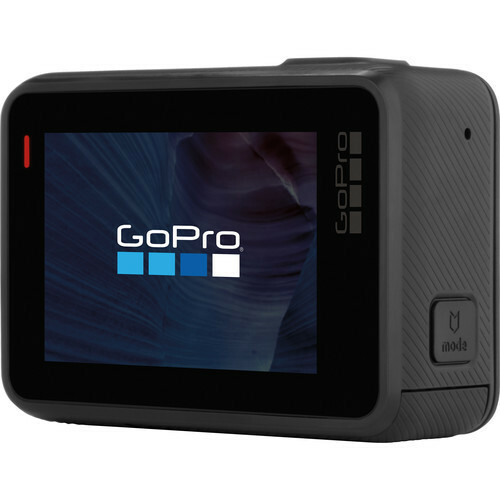 Ruggedized and ready for adventure, the GoPro HERO5 Black camera can be taken to the skies, over rough terrain, and even underwater without flinching, recording 4K videos and 12MP photos along the way. 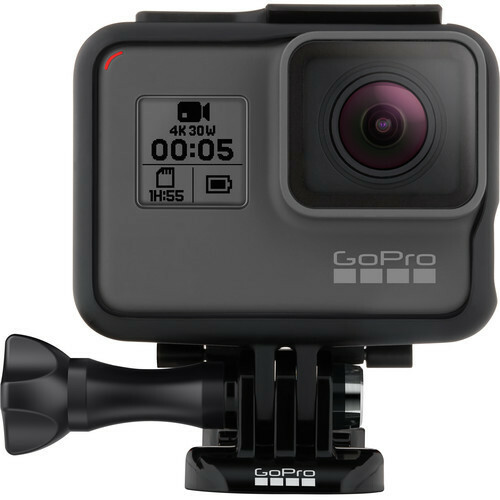 The sealed rubberized chassis allows the GoPro HERO5 Black camera to be taken to depths of 33′ without the need for an external housing. So whether your escapades take you to the lands of concrete, sand, dirt, snow, or water, the GoPro HERO5 Black Camera is prepared to record with a single button press. Once you have finished recording, use the touchscreen to playback and even edit your footage right on the camera. Not only is it more versatile than previous generation HEROs, it’s also easier to use. A touchscreen graces the rear surface, displaying a revamped user interface, while the front screen combined with the top and side buttons offer a more traditional one-button control experience. If the camera is off, pressing the record button will power it on and immediately start recording. Hands-free control is also possible using the built-in Voice Control feature. Speaking simple voice commands can control various functions inside the camera, including start/stop video recording, photo burst, and more.